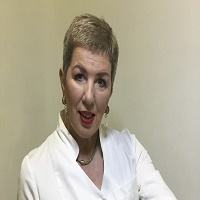 Jasmina Begic is a Medical Consultant for BIOPTRON, Zepter Internastional for Bosnia and Herzegovina, Founder of Association for Wound management in B&H, Founder and author of Euro-Asian Forum, one of founder of www.BALWMA.org. She is currently working as a Dermatovenerologyst in Bioptron International team-Wound Healing and also a certified VCC trainer of elderly care; certified VCC trainer of manager EU founds; certified practitioner of TCM; certified practitioner of herbal medicine. She finished her graduation and post-graduation studies at Medical School of University Sarajevo, Sarajevo, Bosnia and Herzegovina and completed her PhD in the field of Tissue Regeneration and Wound Healing from Indian Institute of Technology, Kharagpur. She did volunteer works in Association for Wound management in Bosnia and Herzegovina (AWMinB&H) from 2008 till present. She is also active member in UEMS TF WH, EWMA, EADV. Her projects are involved in Clinical Research “Appliance Bioptron polarized light (480 -3400nm) in the therapy of dermatosis: Acne vulgaris and Ulcer cruris” which is approved by members of Scientifically Research Institute of Clinical Center of University in Sarajevo and Members of Ethics Commitee of Clinical Center University in Sarajevo; Euro-Asian Forum of Association for Wound Management (2011, 2012, 2014, 2016, 2018); Academy for health and social occupation (2013); Implementation of Traditional Chinese Medicine in health and stationary institution in Bosnia and Herzegovina and country of Western Balkan (2014); Balkan Wound Management Association (2015); Integrative Medicine in Postoperative Management (2017); Integrative medicine: Prevention is best cure of Pressure Ulcers (2017). Chronic Wounds, Leg ulcers different etiology, Disorders of sebacious glands (Acne vulgaris, Rosacea), Anti-Aging Treatments (Non-Invasive Treatments).